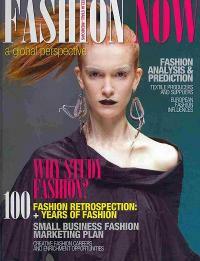 Fashion Now 1 Edition The approach of Fashion Now is to emphasize fashion and marketing. By using this book students will learn that one of the keys to becoming successful in the fashion business is through decision making based on the marketing approach. First, find out what customers want and then provide a product of service to meet these needs or wants. The basic language and principles of fashion are presented early in the text so that students can apply these to more advanced marketing and merchandising discussions. The globalization of fashion is a pervasive theme presented in many ways including history, international sourcing and trade and retailing.